Fears are growing about a rise in political violence in Nigeria’s oil-rich Rivers State as general elections approach next year after a series of incidents targetting parties and voters. Nigerians go to the polls to elect a new president and parliament on February 16, with a vote for state governors and assemblies taking place two weeks later. 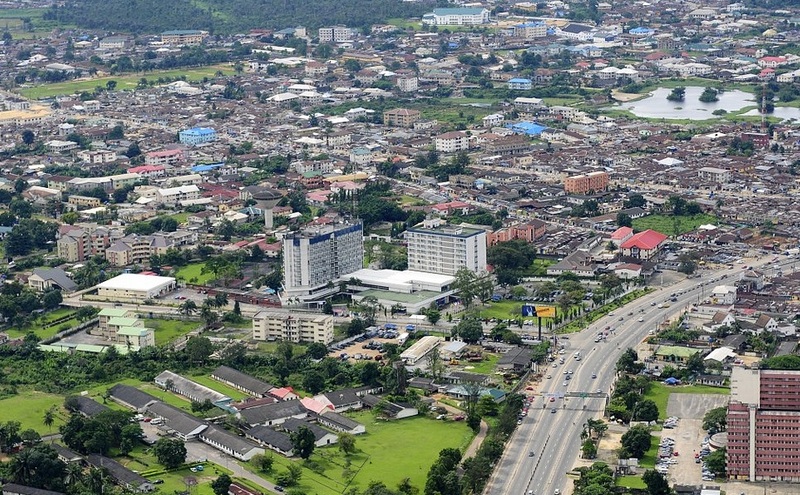 The populous southern state of Rivers and its capital Port Harcourt are at the centre of Nigeria’s multi-billion-dollar oil and gas industry and as such are seen as a key prize. But too often political ambition spills over into violence, earning the state the title “Rivers of Blood” – and with next year’s vote being seen as close-run, few expect that to change. In September, an explosive device blew up near the Port Harcourt headquarters of the All Progressives Congress (APC), which is in power nationally but in opposition locally. The following month there was sporadic shooting as the Peoples Democratic Party (PDP) held local primaries. Shots were also fired as the PDP held a rally last week. The incidents came against a backdrop of violent crime, including kidnappings for ransom and armed robbery, which have stoked local concerns about security. State police commissioner Zaki Ahmed has said 12 of his officers and two soldiers were killed in July and August. Security sources said even more have lost their lives since. Dozens of weapons have been seized, including assault rifles, pump-action shotguns and locally-made pistols and guns, as part of a crackdown on illegal firearms. The last presidential and parliamentary vote in 2015 saw protests in Rivers from APC supporters over claims of massive fraud, calls for the result to be cancelled and the vote re-run. There was bloodshed even before any ballots were cast, when explosions and gunfire at an APC rally killed a police officer and injured several others. The National Human Rights Commission said nearly 100 people were killed in the run-up to the last election, as well as hundreds of acts of violence, including vandalism and arson. There is no love lost between the PDP governor Nyesom Wike and his predecessor Rotimi Amaechi, who is transport minister and also head of President Muhammadu Buhari’s re-election campaign. Much of the fear about violence has been prompted by events at a by-election for a state assembly constituency in Port Harcourt in August. Nigeria’s Independent National Election Commission (INEC) suspended the vote, with the tactics seen locally as a “dry run” for the general election. “Miscreants and hoodlums, accompanied by security personnel, stormed the various polling units and registration areas,” said resident electoral commissioner, Obo Efangha. “They carted away election materials, including smart card readers and ballot boxes. In addition, many electoral officials were manhandled, injured and held hostage,” he added. Both parties blame the other. Locals see the situation as a taste of what is to come. Albert Alobari, who lives in the Choba area of Port Harcourt, said there was widespread uncertainty, just days into the start of the official election campaign. “The violence that rocked the recent by-election is a clear indication that everyone should be security conscious,” he added. Port Harcourt has a longstanding reputation for gangs – or “cults” as they are known locally. They are blamed for kidnapping, armed robbery and a string of other crimes, which typically increase ahead of Christmas and New Year in Nigeria. Gangs straddle the line between crime and politics, and their members are frequently hired by unscrupulous politicians as enforcers around election time. “They go hand-in-hand,” said Okereke, who predicted a “massive” influx of security personnel between now and polling day.